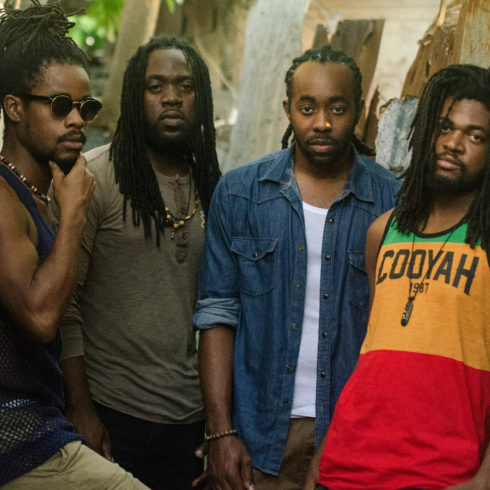 Miami Carnival raised the bar on how Caribbean Carnivals should be marketed in North America. 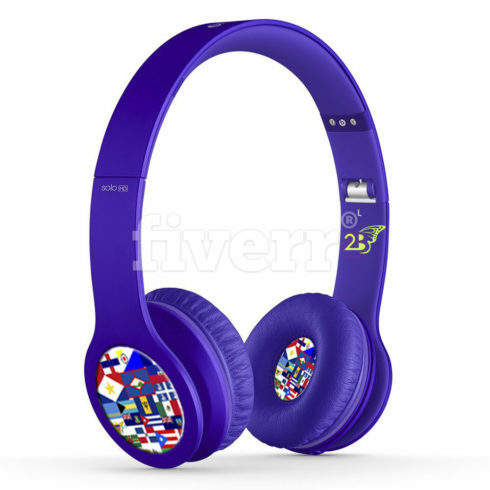 They were able to increase awareness of an already strong brand not only in Florida but throughout the Caribbean diaspora with clever and progressive marketing moves. Twenty Eighteen (2018) marked thirty four (34) years of existence for Miami Carnival. 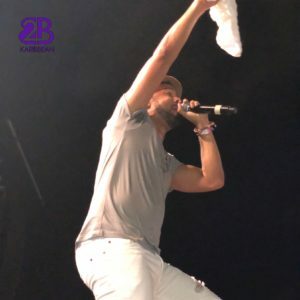 It was celebrated with its annual Carnival Parade of Bands and Concert at the Miami Dade County Fairgrounds on Sunday October 7th, 2018. The event was presented by the Greater Miami Convention and Visitors Bureau (GMCVB) with the support of the Miami-Dade County Department of Cultural Affairs and the Cultural Affairs Council, the Miami-Dade County Mayor and Board of County Commissioners. The Carnival was an exhilarating display of Caribbean culture with roughly seventeen Carnival (17) bands represented in the parade. 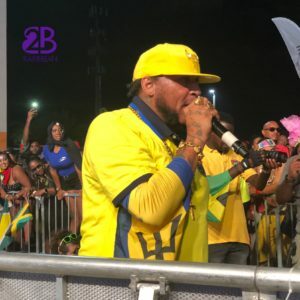 This was followed by a concert which featured notable Caribbean artistes such as Kes The Band, Patrice Roberts, Shurwayne Winchester, Teddyson John, Dil E Nadan, King Bubba, Peter Ram, Stiffy, Ricardo Drue, Trinidad &Tobago Prison Band, P Goodz, Prime Ethic, Soca Empress J, Scrappy, Rudy Live, Mr. Pearly, Julien Believe, Kiprich, Tara Lynne, Sweet Shells and Imma Haitian 257. The events DJs were DJ Chosen, DJ Spice, DJ Dorenzo, Survivor International, DJ Stichiz and DJ The Party General. It was hosted by MC Wassy, Papa Keith (103.5 The Beat) and DLife (WBLS/Sirius Radio/FRPTV and Streaming host). Anyone who has worked behind the scenes for a Carnival (or any event for that matter) understands the frustrations that crop up throughout the process. Managing complicated logistics, dealing with different personalities, dealing with last minute changes all present challenges. The key is making sure that patrons remain blissfully unaware of these challenges. From all accounts, the Miami Carnival planning committee was able to successfully do that and put on a noteworthy and impactful event. Here are some of the clever marketing moves we took note of throughout the experience. The Miami Carnival planning committee has always done well with establishing partnerships with key movers and shakers within the city. What stood out to me this year was the strategic partnerships that were formed with stalwarts throughout the Caribbean diaspora. 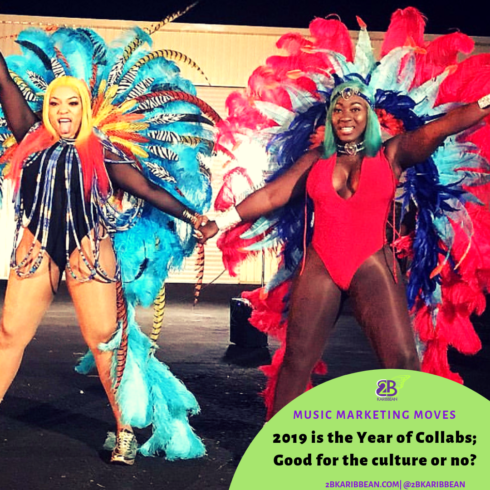 In 2018, Miami Carnival boasted partners such as Soca on the Seas, Antigua & Barbuda Festival Commission, Jamaica Carnival, Cayman Carnival – Batabano, T&T Carnival Commission Law Firm of Hamilton, Miller & Birthisel, Uber Soca Cruise, Arm Wave Sleeves and Barbados Tourism. 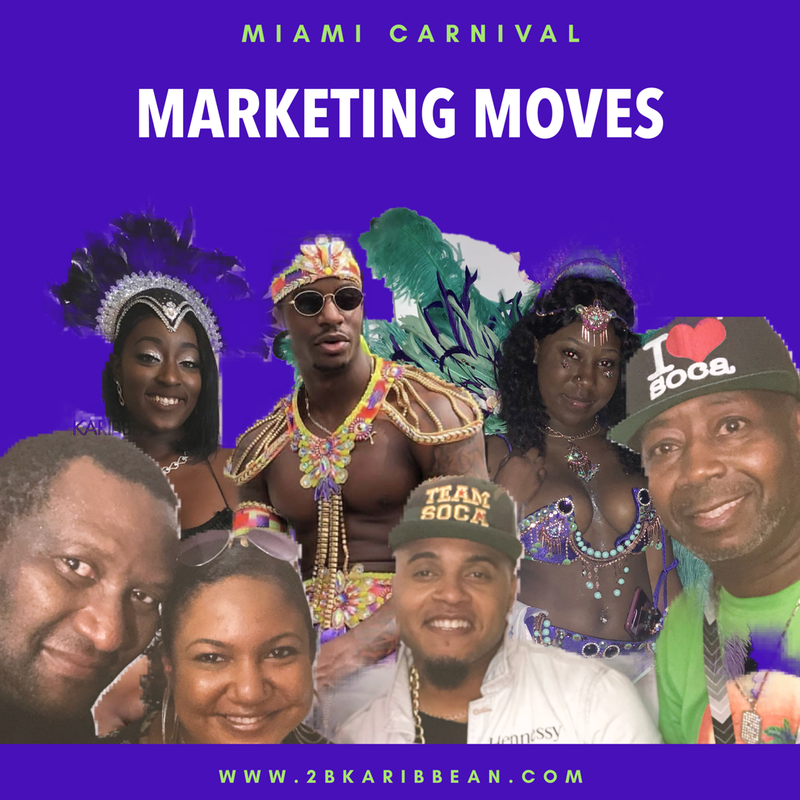 This is a very progressive move to establishing a presence with businesses and events that can further promote the Miami Carnival brand through barter, trade or both. Caribbean Carnivals have started to get the attention of the North American public. Whereas before there was a slight curiosity from the outskirts, now more and more North Americans are opting to actively participate in the festivities. 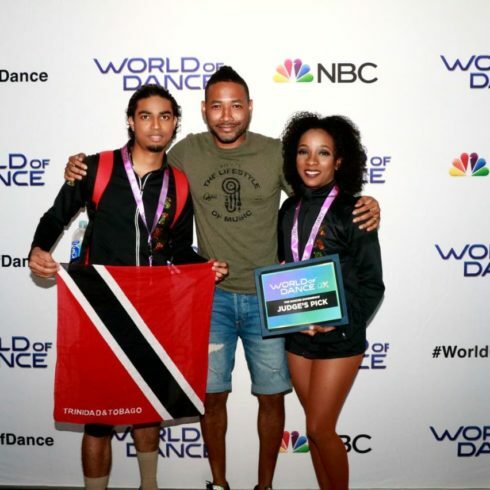 The awareness has slowly began to build aided by the increase of Caribbean nationals who have inserted themselves in mainstream media outlets. As a result, it has become an easier sell to get topics into radio, digital, print and television media. Miami Carnival has taken full advantage and walked through that open door. 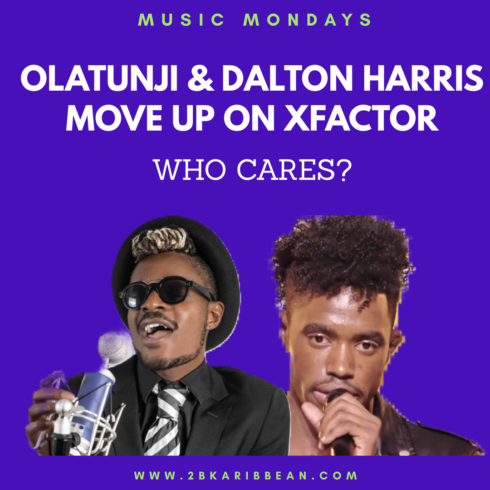 Besides being featured on many local channels, they were also featured on Essence Magazine’s website (Click Link Here) and numerous other websites geared towards their target market. A strong move for continuing to build the brand and awareness of all the weekends activities. The Miami Broward Carnival social media pages were very active and alive during the weeks leading up to Carnival. They made sure they were top of mind for anyone who clicked on the hashtag #Carnival. There were numerous images capturing past fun, they kept patrons abreast of activities and logistics. 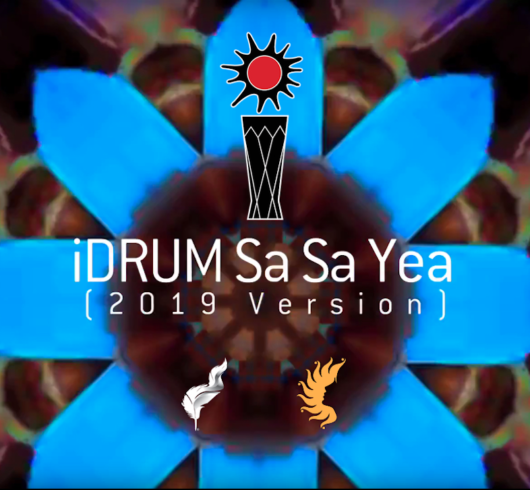 And the icing on the cake was the introduction of a mobile app which is a very progressive move for engaging millennials into the fold of the culture while keeping the tried and true feterans happy. Any event planner knows one of the biggest wins you can make from a marketing perspective is to not only ensure that people know about your event, but, to also make sure that they have a good time when they get there. That creates organic chatter on social media outlets that can last into the next event. 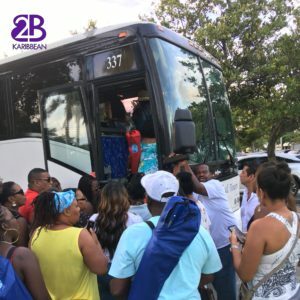 One of the best ways that I saw this achieved in 2018 was the introduction of the shuttles from designated parking areas around the festival site. It was a great step in the right direction for managing parking logistics and reducing frustrations for patrons. 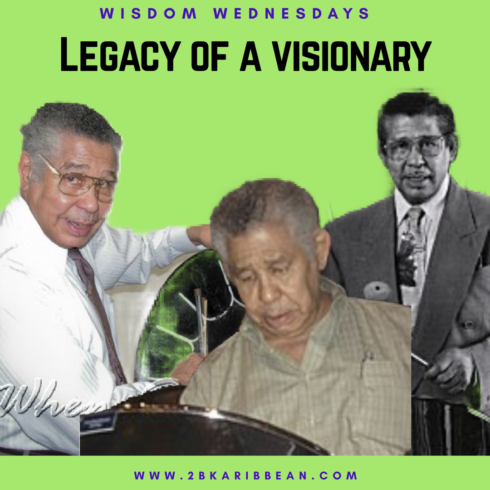 It elevated the experience, raised the brand profile for the Carnival and was a step to overcome a challenge that has plagued Carnivals the world over for decades. One of the funniest hashtags I saw on Instagram this year was from DJ Soca Prince that read, #ProofthatWeinMiami. It was a play on the fact that so many people feel the need to boast via social media that they are in Miami for the Carnival. 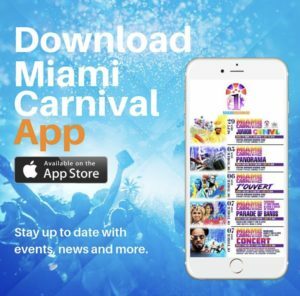 On the flip side, it also shows how effectively Miami Carnival has built its brand to the point where they have a multitude of organic unpaid brand ambassadors. 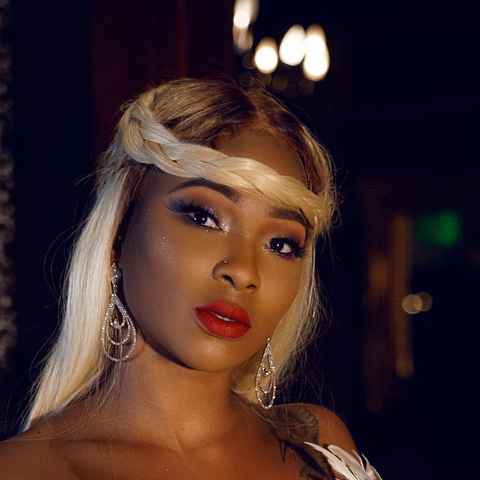 These ambassadors highlight the event on their pages, create a sentiment of FOMO (fear of missing out) for those who were not there and keep the event top of mind for every Caribbean person who enjoys Carnival activities. It creates a sentiment of ‘I need to be there’. Building a tribe of ambassadors is never easy for any brand, so kudos to the committee for building an experience strong enough to create such a tribe and more importantly for recognizing its value and shining a light on them through their various promotional channels. 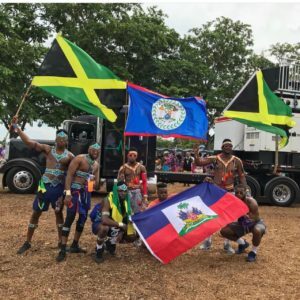 As mentioned earlier, Caribbean Carnivals are building momentum in North America. 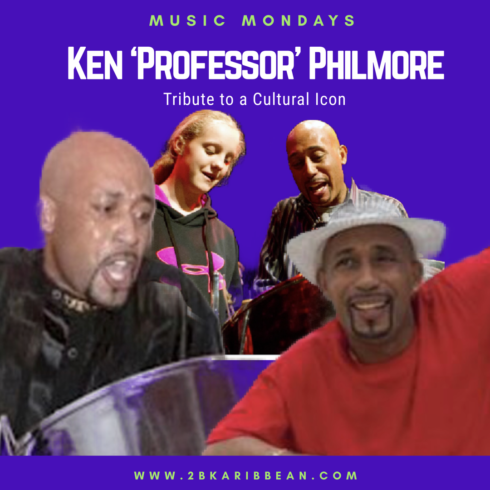 This can be a great thing for the promotion of the culture if we as a Caribbean community take ownership of its execution and maintain its authenticity. 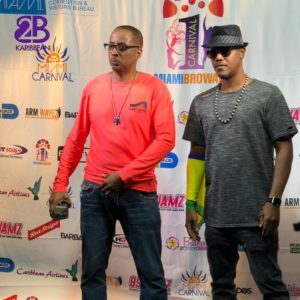 At a time when so many Carnivals in North America continue to fall under the weight of poor management, poor logistics and poor business practices, Miami Carnival is shining a light on how a few progressive business minded moves can open up a whole new revenue stream for Caribbean culture and Caribbean artistes. 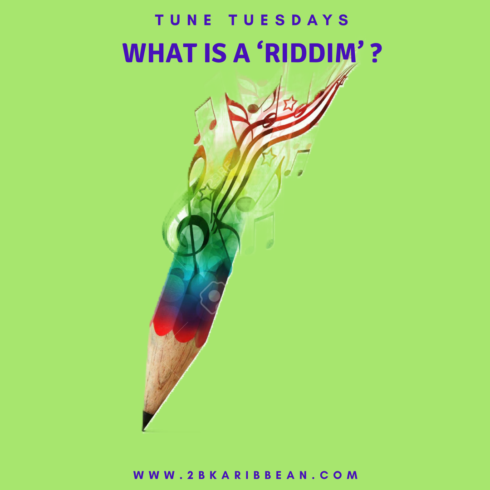 We do this by making the event a genuine Carnival experience that is also friendly to non-Caribbean people who may not be as familiar with or know how to maneuver some of the unfamiliar territory of Carnival with its unbridled fun and very loose rules of engagement. SOUND OFF: What was your favorite Miami Carnival Moment?